When you take the time to audit your website before you relaunch it, you will have the chance to test any updates you have made to ensure they are working correctly. The audit will also make sure that the website is ready to make a reappearance in the SERPs (Search Engine Results Page). Although the audit will require you to take a little time out of your schedule to complete it, it can make the difference between being on the first page of results or being on the 10th page. Performing an audit before relaunching your website will also give you the opportunity to find and clear up some common pitfalls that marketers can make in SEO. While you are auditing your website, it is critical that you find any content on your site that is duplicate and remove it before publishing the website as live. If you keep duplicate content on your site, your website relevance metrics in Google could be affected. Instead of going through each page manually, you can use a free online web crawler that will find broken links, duplicate content and other content issues. Each page on your website needs to be unique and should contain informative and real content. This is one of the simplest things you can do to help increase your site’s ranking. 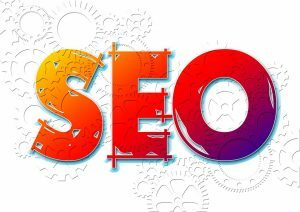 An audit will let you know if the content on your web pages is optimised for SEO. In order to help increase the click through rates on your site, all of the title tags should contain your brand name. However, each title tag must also be different from the others. Keywords and keyword variations should be located on the most important pages. H1 tags and image file names should also contain a keyword phrase as long as it matches the text on the page. All URLs should remain short, clean and descriptive. You should also make sure your webpages can be crawled by search engine ‘spiders’. Even if you are not an expert in SEO, you can still handle the technical aspect of the audit. There are online tools that you can use to show you how to optimise particular configurations, and also indicate the pages you want the search engine to crawl. The type of links you have on your site and the landing pages on your site will also play a role when you are doing an SEO audit. All the web copies should have anchor texts that are optimised and web copies should have linking structures that will make it much easier for online users to easily go through your website. You can audit the keywords on your site and discover how certain pages on your site are performing with specific keywords. If you are not an SEO expert or website developer, you may find that auditing your site can become tedious. However, there are many issues that can be discovered during an SEO audit that can hurt your site’s ranking after launch. Never skip this step, and if you are not able to do it, hire someone who is experienced to do so. Which Strategies Work Best for Local Brands? How Did Google Become Number One?